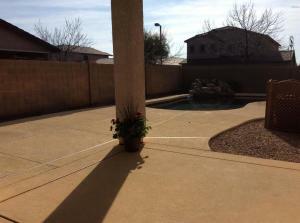 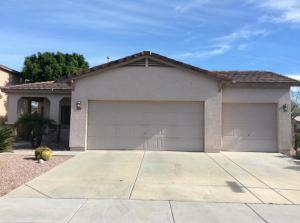 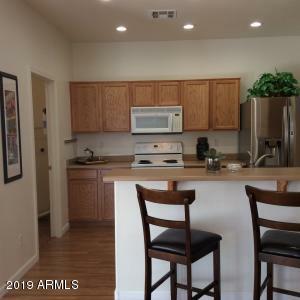 Welcome to this beautiful open floor plan you will enjoy the open living room that flows to the covered patio. 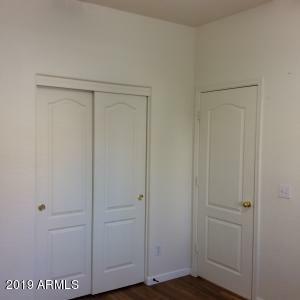 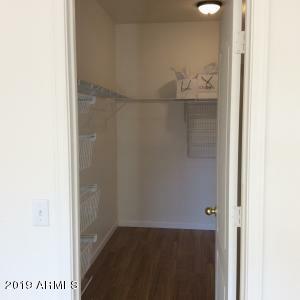 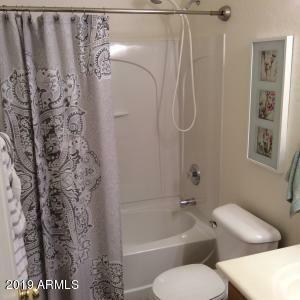 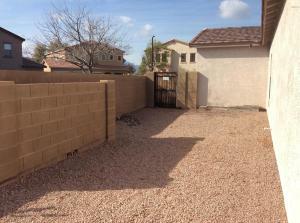 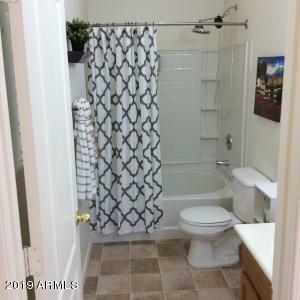 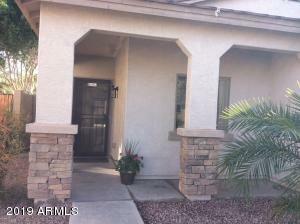 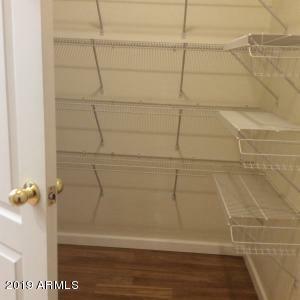 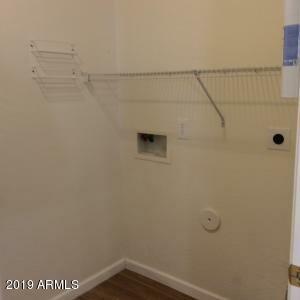 Home has 3bedroom/2bath, perfect lay out with lots of additional storage closets. 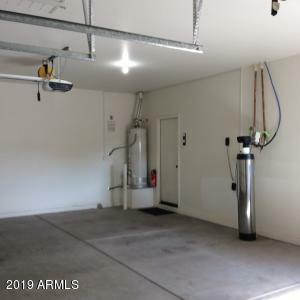 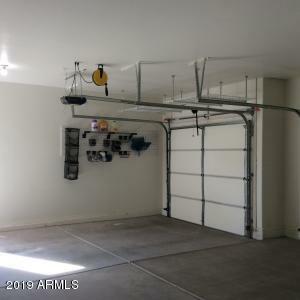 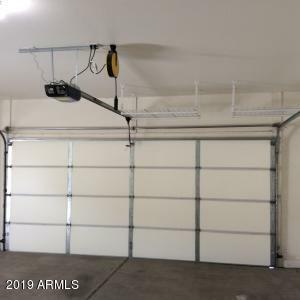 Enjoy a 3 car garage / storage space. 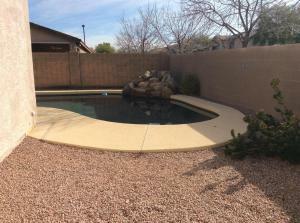 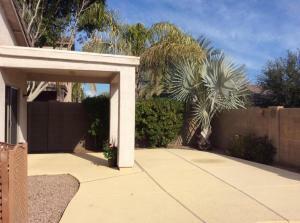 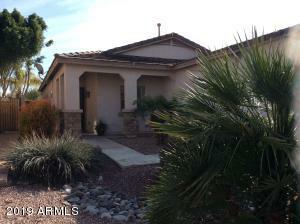 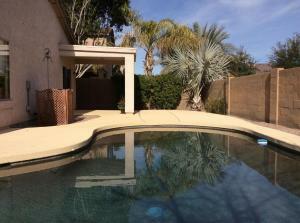 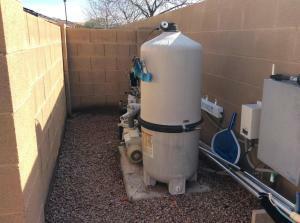 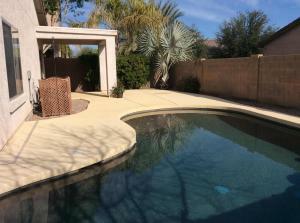 Bonus is big backyard with a salt water pool and rock water fall feature great home for out door fun. 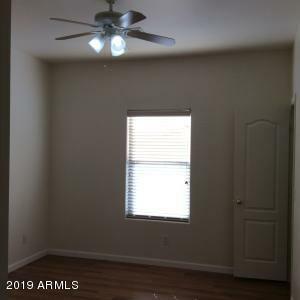 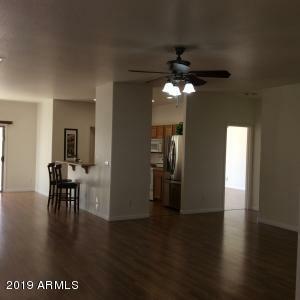 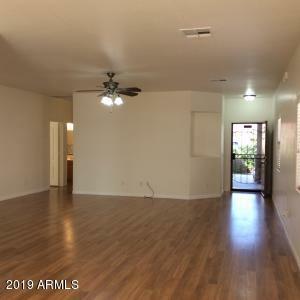 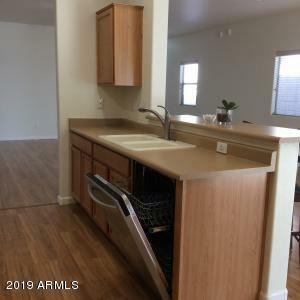 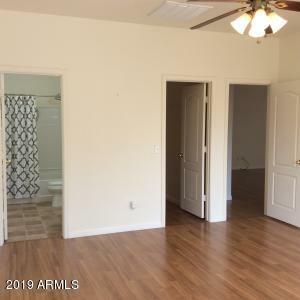 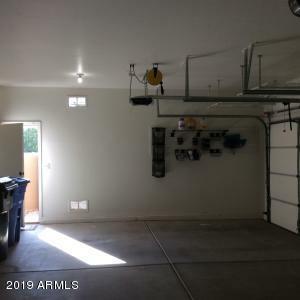 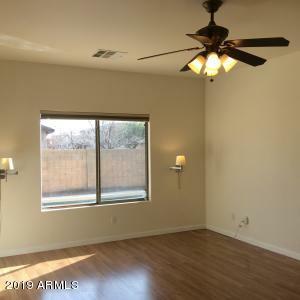 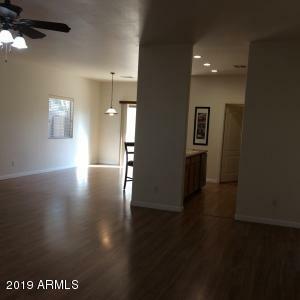 Home has 9ft flat ceilings throughout, can lighting in kitchen area. 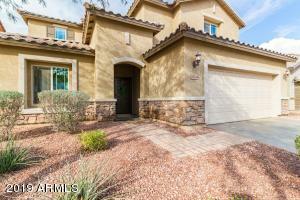 North on Cotton Ln, East onto Surprise Farms Dr, South onto 170th Dr, West on Saguaro Ln, N. 170th Ln end corner lot.